Annette Weisser lives and works in Berlin and Los Angeles. She is Assistant Professor at Art Center College of Design, Pasadena, in the Graduate Art Program. Since graduating from the Academy for Media Arts Cologne in 1998 she has worked as an artist, curator and writer in various constellations. She is co-founder of The Detroit Tree of Heaven Woodshop. Presumably because of age, she has focussed on autobiographical issues lately but sees this as a transition process. 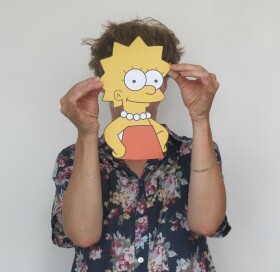 Though fully aware that this is not a real person, she identifies strongly with Lisa Simpson.